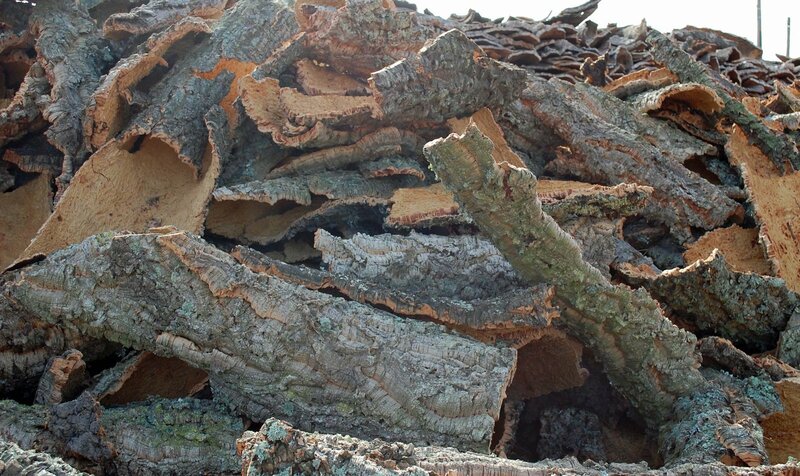 Declining Cork Farms - The Price of Progress? Home Blog Economic & political Declining Cork Farms - The Price of Progress? We have just returned from a fortnight in the baking heat of Alentejo. The temperature ranged around 35oC, reaching 40oC on a couple of melting afternoons. But the pool was our saviour. 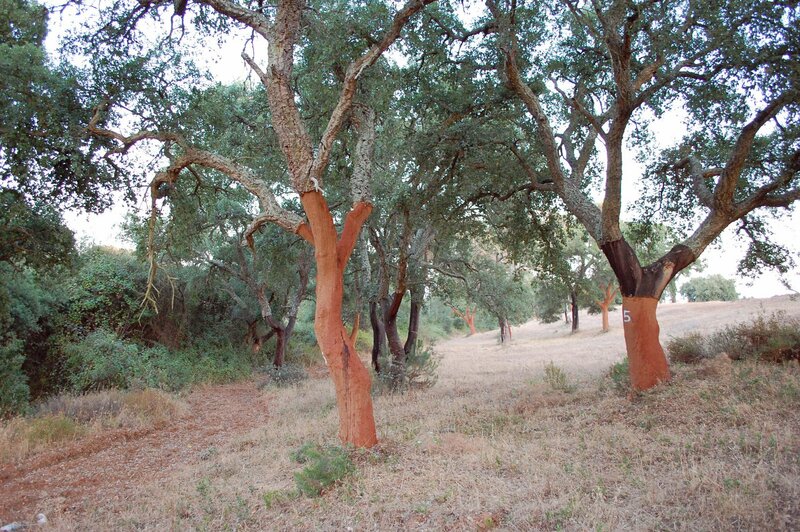 Everywhere we looked there were cork trees, growing individually, in small groups or large plantations. Their ancient-looking, gnarled branches seemed like witch’s fingers pointing crookedly to the blue skies. Many of their stems were a deep red-brown colour, similar to the rusty coloured rich Alentejan soils. This was where they have been skilfully cut to remove the corky layer of bark from their stems. Harvesting is done every 9-10 years, so it’s roughly 1 in 9 that have this rich brown trunk. Apparently, half of the world’s corks come from here. It’s an industry started by Dom Pérignon, the monk Champagne maker, in the seventeenth century. While Dom Pérignon is famed for wine-making, he also introduced the cork as the stopper of choice instead of wood. Cork is perfect as it’s inert, sustainable and biodegradable. It also makes a nice plup sound when pulled out. But now we replacing these with plastic stoppers or screw caps. These are promoted because they have no different taste impact versus cork, plus for screw-caps convenience is given as a plus point. However, I now can’t help feeling this is a mistake. 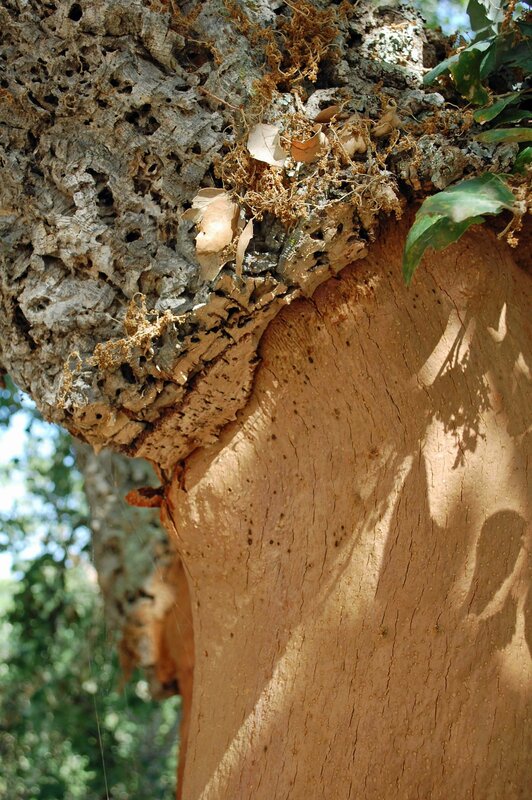 Cork is sustainable, renewable and biodegradable. 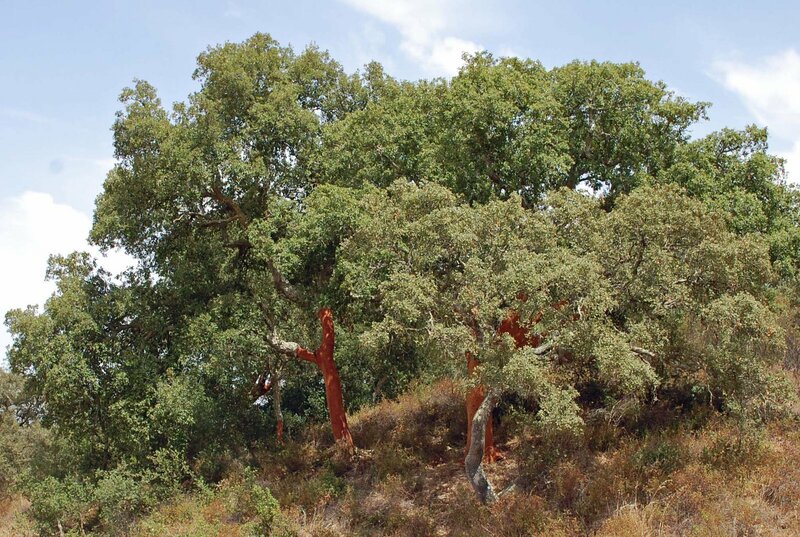 Cork supports unique ecosystems in the Alentejo, as well as supporting a rural economy. Whereas plastic stoppers are just that plastic. They are not “green” – neither recyclable nor sustainable nor renewable - and do not help rural economies. Screw caps are recyclable in theory, but they certainly don’t help the Alentejo. The consequence is that cork farms are being abandoned or cut down or not replanted after forest fires. I'm going to stop buying plastic tops and screw cap bottles, now.